Summer is all about having fun and creating extraordinary memories. This year, Guerilla Race, the first, premier and only obstacle race in the Philippines, will turn your summer moments into something offbeat as it takes an exciting yet audacious route, daring to infuse water adventure into the race. Guerilla Race Splash –The Water Edition is a fusion of land and water obstacle race. 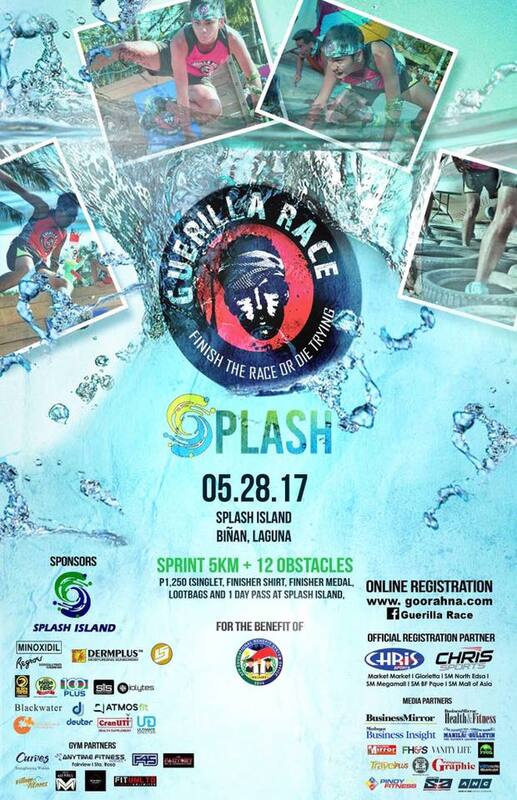 Aldenver Marketing, Inc., the organizer of Guerilla Race, in partnership with Splash Island will hold a never before seen event, enticing both pro and neophyte runners and fitness buffs in the country. This unconventional race will happen on May 28, 2017 in Binan, Laguna. It will not only provide extraordinary challenges but also exceptional enjoyment, as racers are expected to plunge into the water and get drenched in several water activities to test one’s versatility, strength and stamina. Fun is an understatement. The Sprint Category will have the 5km run and 12 obstacles. It will be a combination of water and land obstacles. You can enter as an individual or as a team which has a minimum of four members to ten members. The cut off time is 1.5 hours. 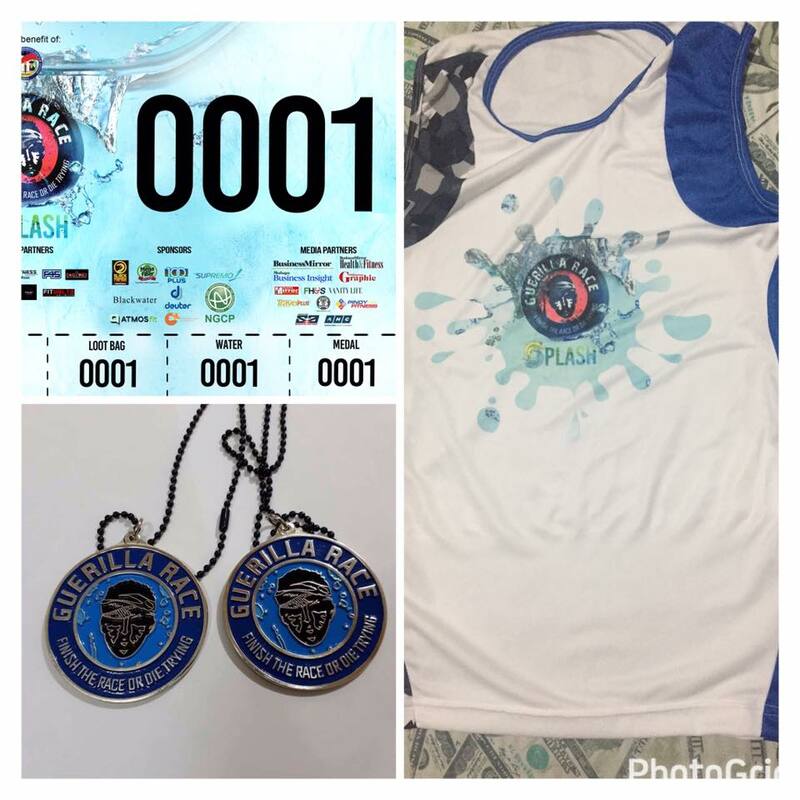 The racekit costs Php 1,250 which includes a singlet, finisher shirt, finisher medal and giveaways from sponsors. Like any of the Guerilla Race series, part of the proceeds of this upcoming race will go to Armed Forces of the Philippines Educational Benefit System Office (AFPEBSO), an organization that supports education of the soldiers’ orphans. Therefore, your summer will be filled with precious memory because you have helped less privileged people through this race. The race will not be possible without the generous sponsors: Dermplus, Regroe, Lifesaber, Atmost Fit Elite, 100 Plus, Black Mamba, Mega Fiber, Cranuti, Blackwater, Deuter, Grand Encore International, Curves, Anytime Fitness Fairview, Sta Rosa, Iron den Crossfit, Crossfit Mad Minute, Fitness Unlimited and support from our Media partners – Manila Bulletin, Business Mirror, Malaya Business Insight, ANC News Channel, Philippine Graphic, Pilipino Mirror, Health and Fitness Magazine, Travel Life, Food Health and Scined Magazine, Vanity Life, Pinoy Fitness.com, wheninmanila.com, V81 Radio and ABS CBN Sports and Action. For inquiries, you may contact Veronica Ramos at 0927-8484533 or email aldenver.veronicaramos@gmail.com.